Material : Aluminum & Plastic. Pressure Rating : Upto 10-12 kg/cm2. 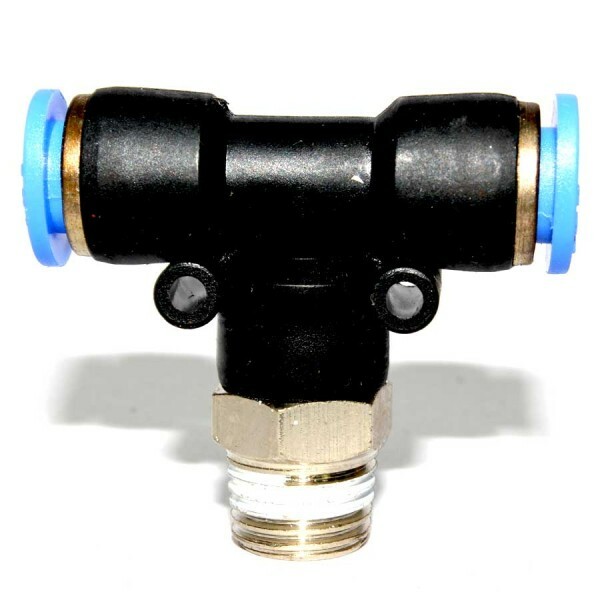 We have a great selection of Pneumatic Air Fittings and are some of the most popular products we have to offer. We Do Also Make Custom Made Pneumatic Fittings As Per Customer Requirements. No guarantee for Grade Purity, breakage or thickness leakage for commercial and light duty Valves. Pressure rating for each valves varies of different sizes no guarantee will be provided for the same, The sizes, images and dimension may vary according to the different range of product. Please Confirm the exact details before placing the order. Thickness may vary according to different size and quality. Contact us for in depth technical details. T.C will be provided on special request for heavy duty valves only. We recommend you to order heavy duty valves where highest reliability is required. No refund will be made for wrong size order.